February 28th, 2016 marks the 25th anniversary of the end of Operation Desert Storm, the combat phase of the Gulf War, the first war with Iraq. This conflict was a turning point in US and world history, but the ensuing wars in Afghanistan and Iraq turned these war theaters into toxic waste lands. Desert Storm ushered in the widespread use of depleted uranium (DU) ammunition, a topic that few official spokespersons want to talk on the record. Now Syria is fast becoming the latest toxic battlefield where the “real weapons” of mass destruction are being deployed. Even though the Pentagon has professed a reversal of decision on the use of DU munitions, the clear cut evidence still does not support any real effort to reduce their indiscriminate use. It should be noted that US and UK forces during Desert Storm, openly acknowledged having fired some 286,000 kilograms of DU shells in between 1990 and 1991. The vast majority of the amour piecing rounds were fired from US Abrams and M60 tanks, and from A10 and Harrier combat tank killer aircraft. Fast forwarding to today, and we find an obliterated Iraq, a North Africa in various states of edgy turmoil, and Syria ablaze. Within this crucible of death, the toxic shadow of depleted uranium ordinance threatens combatants and innocents alike. The side effects associated with exposure to elements of DUs include; birth defects, miscarriage, unknown cancers, and more. Looking back at the effects of Desert Storm frames a horrific convergence of 21st century industrialization and a new breed of ethical rationale. While the real causes of so-called Gulf War Syndrome (GWS) are still being studied, the military establishments and politicians ride the fence on issues like the use of DU. Highly effective in many battlefield situations, the extremely heavy depleted uranium shells have devastating effects on some types of armor. But it’s the detrimental characteristics of the armor piercing incendiaries that make their use criminal. Silverman should know, back in 2003, he helped to design a social marketing campaign against use of depleted uranium in Afghanistan, for UK-based Islamic Relief – and he carried out substantial desk research on the subject. As we now know in retrospect, both Afghanistan and Desert Storm saw the widespread irradiation. By the end of 1991 just about every factory, military facility, and chicken farm was utterly destroyed in that war stricken country. The US and the UK fairly well eradicated not only the the country’s ability to function as a unit, but left a health crisis that is only now being realized to its fullest. By the time George Bush the junior attested to weapons of mass destruction (WOMD) before the American public, Saddam Hussein’s country was just barely climbing back out a US-imposed Stone Age. The use of depleted uranium ordinance there was so extensive, that some experts say it will take decades to properly assess the human cost. Birth defects, cancers of all kinds, the toxic and radioactive, chemically toxic dust, and uranium seepage into water tables have made a wasteland of a wasteland. Apparently the Bush administration cared less for the international friction uranium rounds would ignite, for the report offers up the public’s negative perception of radioactivity and “adverse international reaction.” The recommendation to the Army is damning when examined in today’s light. Not only did the administration back then ignore the negative PR impact, Bush’s 1991 Pentagon cared less that the use of DU would be “more expensive” than tungsten tipped rounds. However, what a convenient mechanism to get rid of toxic waste from atomic plants and make money in the process. One can only assume that somebody in the administration of in the Pentagon wanted Iraq poisoned and laid waste to. At least this is a reasonable query in my view. The people of Iraq must now live with the deadly residual of some 860,000 DU rounds fired by only the US forces. Most farmers and ordinary citizens of Iraq have no concept of these weapons, the remaining contamination of which will remain in Iraqi soil longer than our solar system has been alive. Depleted uranium has a half life in excess of 4.5 billion years—and that is not a type, you read that correctly. Without doubt the US and coalition forces destroyed Iraq, in the most destructive way possible. In a reported by the Middle East Research and Information Project reveals this destruction. 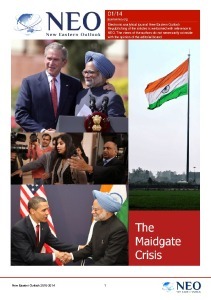 On the supportive side of the DU argument, think tanks like the Rand Corporation continually toe the “party line,” as become clear in this 1999 report. Denial of any connection to illness, in the face of overwhelming proof Gulf War Syndrome suffering, it is a blight on America’s reputation. The use of DU munitions in hot spots around the world has slowed recently, and the Pentagon’s recent “U turn” (supposed) on the use of depleted uranium ammunition is promising. But it’s taken a massive effort by veterans groups and NGOs worldwide, in order to tip the balance. This documentary film entitled, “Uranium 238: The Pentagon’s Dirty Pool” won Best Short Film at the “First International Uranium Film Festival.” The existence of such a film festival should clue the reader into the hundreds of international movements to ban these weapons. Still, as recently as 2015 the Pentagon was still only “looking” for replacements for DU rounds. I found this news report at the International Coalition to Ban Uranium Weapons. In it, the US Department of Defense sought to: “Identify and produce a low-cost material that matches or exceeds the performance of depleted uranium (DU) in kinetic energy (KE) penetrator applications.” This report (PDF) from the University of Sarajevo, Mechanical Engineering Faculty details the dispersion of PGU-14 ammunition during air strikes by A-10 combat aircraft near urban areas in Bosnia and Herzegovina in 1994 during operations “Deny Flight”, “Allied Force” and “Deliberate Force”, among other smaller incursions. The report is the most detailed and damning that I could find, where DU shells’ characteristics and dangers are concerned. On impact, depleted uranium projectiles are rendered into flammable bits of hazardous waste essentially. The incendiaries are turned to either dust or aerosol, along with bits of high velocity fragments that are radioactive and/or toxic. I find it both interesting and horrific that the best data on DU use and contamination always comes from the victims. Furthermore, NATO and the other militaries using DU rounds seldom if ever release information that assists countries in decontaminating areas hit by these rounds. Meanwhile in Syria, the US has A10 Warthogs flying missions now destroying ISIL oil tankers. 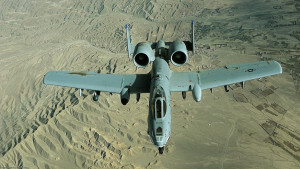 The A10’s are armed with General Electric’s 30mm GAU-8 cannon, a Gatling gun notorious for firing depleted uranium bullets at 3,900 rounds per minute. 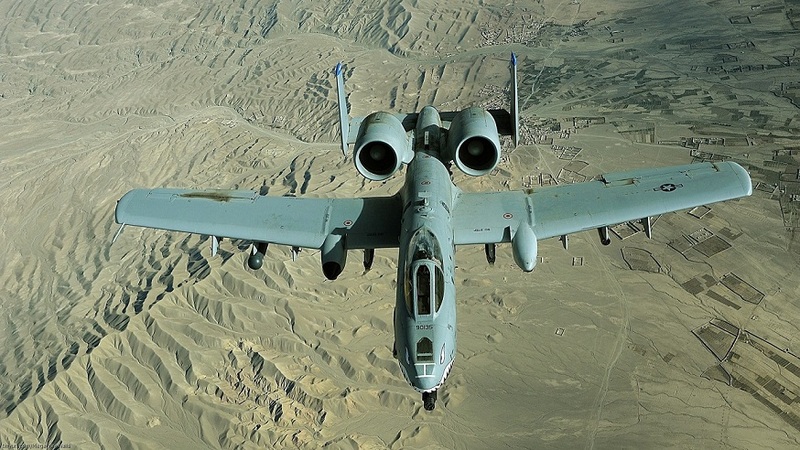 The announcement of the A10’s new role in response to Russia’s air campaign against ISIL, took a back seat when the Pentagon announced the tank killer would remain in service past 2020. Defense Secretary, Ash Carter told the press about the flying anti-tank gun’s continuance, drew immediate praise from Sen. John McCain, R-Arizona, and chairman of the Senate Armed Services Committee. A-10s based in Turkey have been credited with strikes against ISIL oil infrastructure and strongholds. And even though the rhetoric from the Pentagon has dampened the outcry against these weapons, their use has apparently not been abated by the US. Focusing on the A10 in particular, the aircraft’s 30mm cannon currently has three ammunition choices; the PGU-14/B API Armor Piercing Incendiary (DU), the PGU-13/B HEI High explosive incendiary, and a target practice round designated PGU-15/B TP . As for the ongoing damage depleted uranium has already cause, four studies conducted in 2012 showed the people of Fallujah as having “the highest rate of genetic damage in any population ever studied.” As for the US government’s dogged determination to cling to depleted uranium regardless of the devastation the munitions can cause, the fact General Dynamics and other military industrial contractors are the sole producers of this ammunition bears scrutiny. When I was on active duty in the US Navy, the Phalanx Close in Weapons System (CIWS) had just been developed. It comes as no surprise as to those who economically benefit from such ordnance. Moreover, one should not be shocked that General Dynamics happen to be the sole producer of the 20mm MK149 DU rounds CIWS shipboard systems fire. As for other DU manufacture, companies like Honeywell or Orbital ATK make millions off the manufacture and sale of such munitions. It only takes a rudimentary search of the company’s recent press releases to realize how business is booming, and by sheer happenstance this coincides with crisis zones around the world.. One press release from Orbital, for instance, tells us of a new office opening late last year in Saudi Arabia. Orbital ATK was recently awarded a $105 million dollar contract to produce the “next generation” M1A1 Abrams anti-tank rounds, designated M829A4, as of October 12th, 2015. It is now clear that the Pentagon and policy planners, those who take the most in campaign donations, do not any intentions of eliminating it depleted uranium stocks any time soon, unless they can find the next battlefront to use it up. 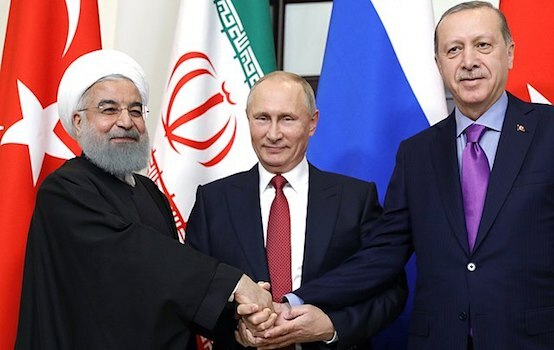 The United States military, and it NATO partners, including Turkey, needs to safely elimination their massive stocks of old DU ammunition, and without using them on some unsuspecting country as the preferred disposal mechanism. And to add insult to injury, guess who gets paid to dispose of that old ammo? You guessed it–suppliers like General Dynamics not only get paid to take apart older ammunition. And as sickening as it sounds, they [the same defense contractors] are given new contracts to resupply militaries with updated DU ammo. Based on a counterpunch article, This Counterpunch, the onslaught of devastation, lies, and collusion connected to these weapons and ammo is criminal. US corporations are now positioned to reap windfall profits. They have no moral or legal responsibility, irradiating and rendering toxic entire regions, is just part of the business. Who is discussing the long-term and cross generational effects of DU munitions. Officially the health and safety issues are not yet fully known, and it will be far worse than what we learned from Agent Orange during Vietnam. Meanwhile the pundits only talk from a safe distance of the acceptable degree of collateral damage. All the while the US and the UK continue doing what they “know only too well” is a war crime. As citizens we all have the duty to be the overseers, for it is clear governmental oversight is non-existent, and those in position have been paid off and are morally bankrupt. Apparently Washington “think thanks” and the Pentagon had created a total-war, scorched Earth manifesto to irradiate whole peoples and regions. Please, somebody prove me wrong!